BRAMPTON, ON — The Brampton Beast had a rare weekend away from the Powerade Centre for three road games in three days. On Friday night, the Beast once again faced the Adirondack Thunder. Goaltender Zach Fucale was solid net for the Beast as he stopped 26 shots, many of them good scoring chances for the Thunder. 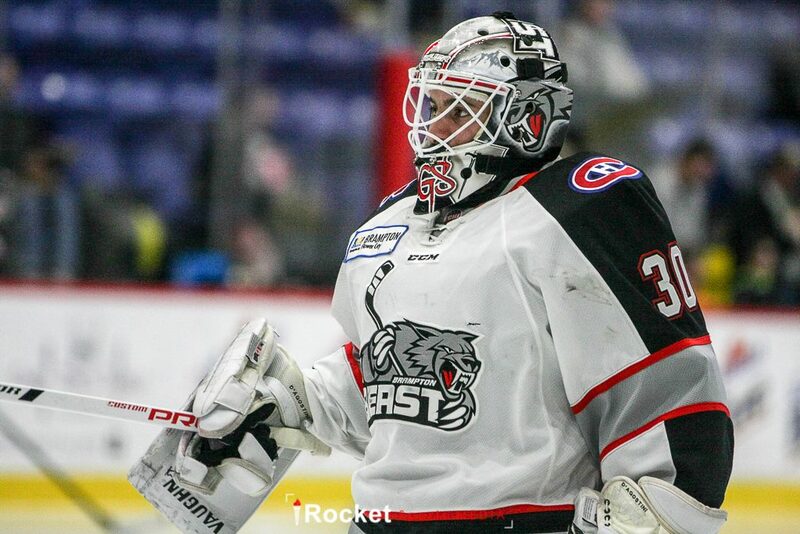 The Beast held a precarious 2-0 lead heading into the third period, but Fucale was the difference-maker. The Beast distanced themselves from the Thunder enroute to a 4-1 victory. On Saturday night, Brampton paid a visit to Santander Arena to face the Reading Royals. Goaltender Andrew D’Agostini was spectacular in the Beast net stopping 31 shots. The Royals stormed out to an early 2-0 lead before the halfway point of the opening period. But the Beast kept the pressure on and managed to tie the score at two a piece before the end of the first stanza. Ageless David Ling made a beautiful play to set up the go-ahead goal for the Beast. It was a lead that Brampton would hold until the third period. The final period has been a struggle to say the least for the Beast and on this night despite the heroics of D’Agostini they gave up a pair of goals. The game headed to overtime and then to a shootout where the Beast fell 4-3 to the Royals. Sunday afternoon was a different story, as the Beast dominated the Royals from the puck drop. Defenceman Willie Corrin was the difference maker as he recorded three points including two goals. The Royals scored the only goal of the opening period. But the Beast put the game away in the second period building a 3-1 lead and going on to a 5-2 victory. Fucale again was solid, this time making 35 saves. Brampton recorded a possible five of six points on the weekend, all against North Division rivals. That set the stage for a midweek contest back at the Powerade Centre. The Beast hosted the Quad City Mallards for a Wednesday night tilt. The visitors put two goals behind Brampton starter Matt D’Agostini before the 10-minute mark of the first period. When they added another early in the second period, D’Agostini got the hook having allowed three goals on nine shots in 27 minutes of play. Carmine Guerriero took over from there, holding Quad City off the scoresheet for the rest of the contest. Brandon Marino and Reggie Traccitto were the goal scorers for the Beast but they dropped this decision to the Mallards 3-2. With 38 points in 39 games, Brampton trails the Reading Royals, currently sitting in the final playoff spot, by 10 points with four games in hand. In roster news the Beast lost a pair of star players to AHL call ups. Defenceman Willie Corrin was signed to a PTO by the Belleville Senators. 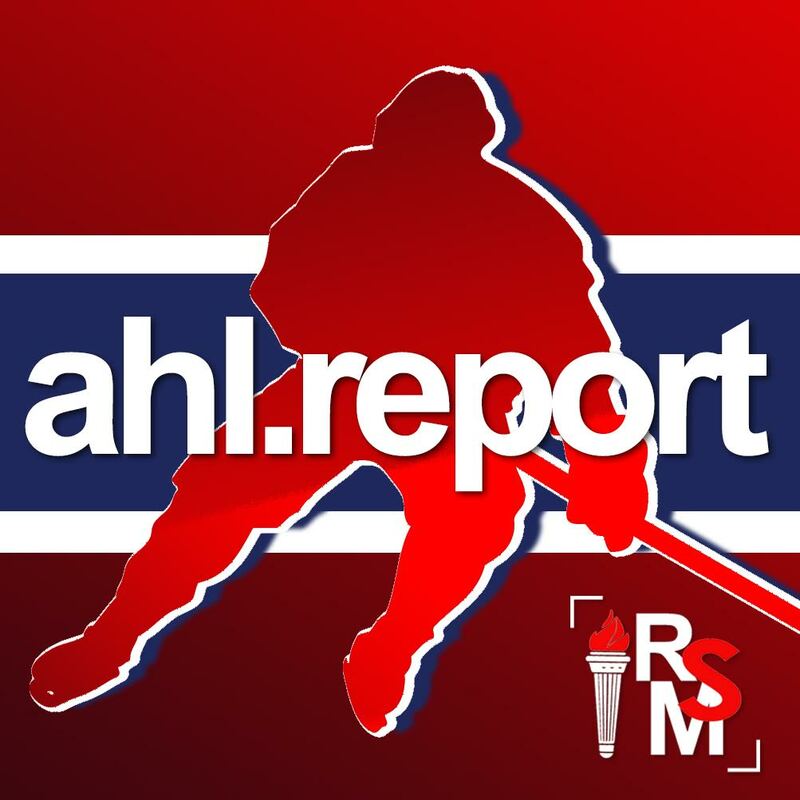 This is Corrin’s second AHL stint this season spending much of December with the Laval Rocket. Goaltender Zach Fucale was recalled by the Laval Rocket. Carmine Guerriero joined Andrew D’Agostini to handle the goaltending duties. Brampton defenceman Jamie Doornbosch was recalled by the Belleville Senators. Doornbosch has four assists in eight games for the Beast this season. It will be a busy weekend for the Beast with two of their three contests at the Powerade Centre. On Friday and Saturday Brampton will have a home-and-home series with the Toledo Walleye. On Sunday, the Beast will return home for a matinee against the Reading Royals.